Here is the calendar for December (click for hi-res image). 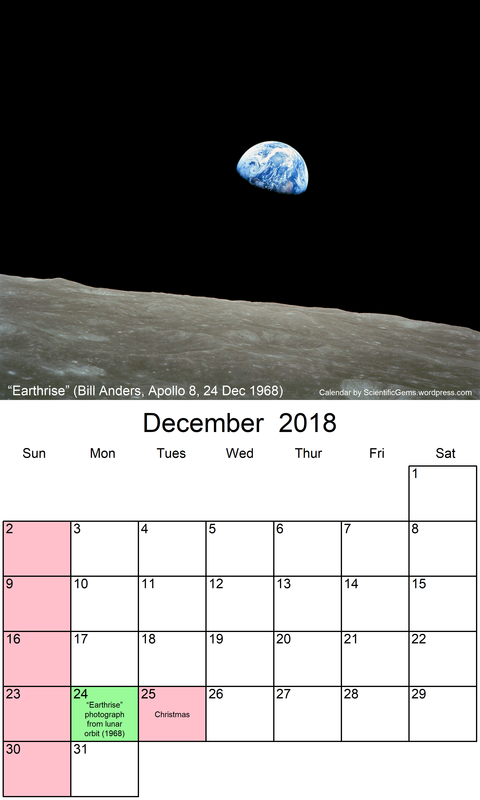 The Earthrise photograph was taken 50 years ago, along with the Christmas Eve broadcast from the Moon. 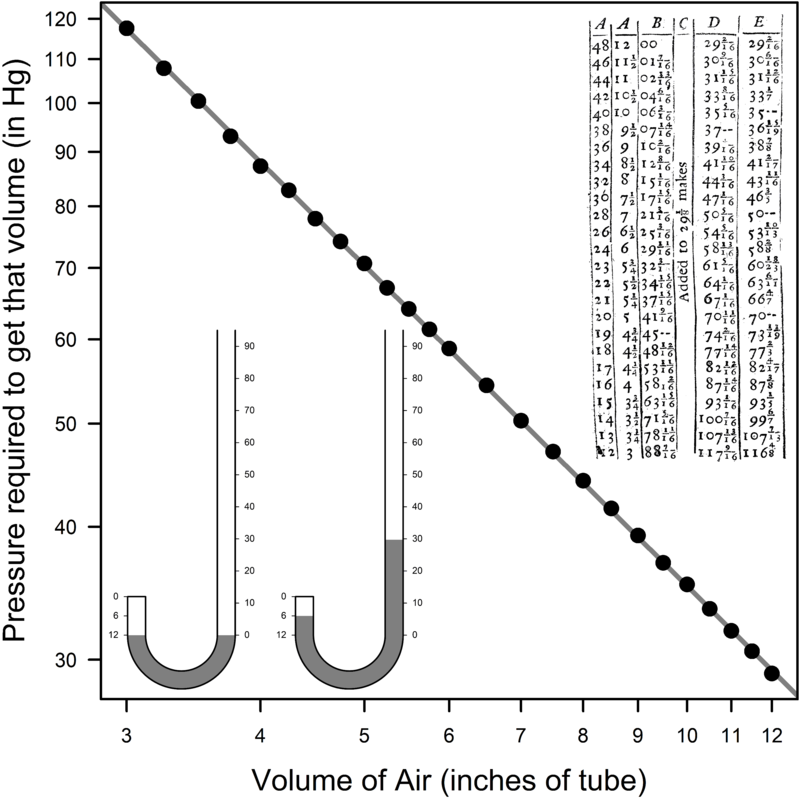 Boyle’s law is the principle that, at constant temperature, the volume occupied by a gas is inversely proportional to pressure (at least until the pressure gets extremely high). In symbolic terms, PV = k, where k is a constant. The pioneering scientist and amateur theologian Robert Boyle published this law in 1662, in his New Experiments Physico-Mechanical, Touching the Air (2nd edition): Whereunto is added a defence of the authors explication of the experiments against the objections of Franciscus Linus and Thomas Hobbes. The chart above shows the data he collected, together with a diagram of his apparatus and a scan of his original data table (cleaned up from an image in the Wellcome Collection). Boyle’s apparatus involved an uneven U-shaped tube, sealed at the short end, and with mercury in the “U.” Further mercury was added to the long end, in order to compress the air in the short end to a specified volume. 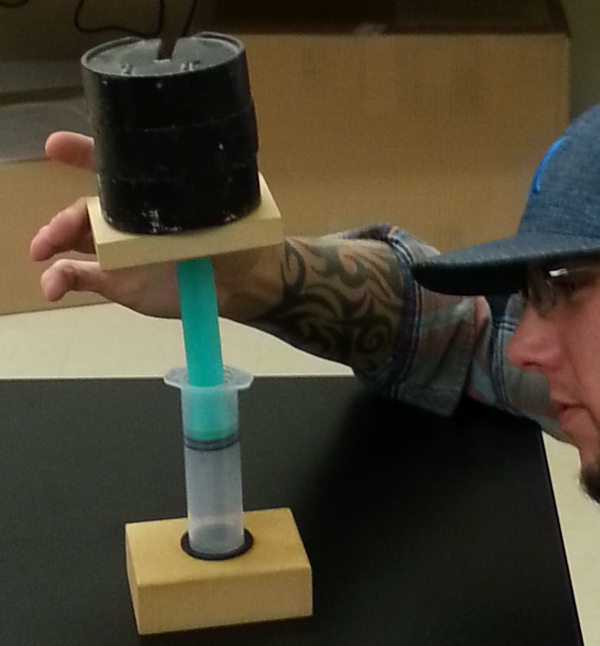 The pressure in each case (in inches of mercury) was the measured amount in the long end of the tube, plus 29.125 inches for atmospheric pressure. Boyle’s experimental work was excellent, with all errors less than 1% (on my calculation). 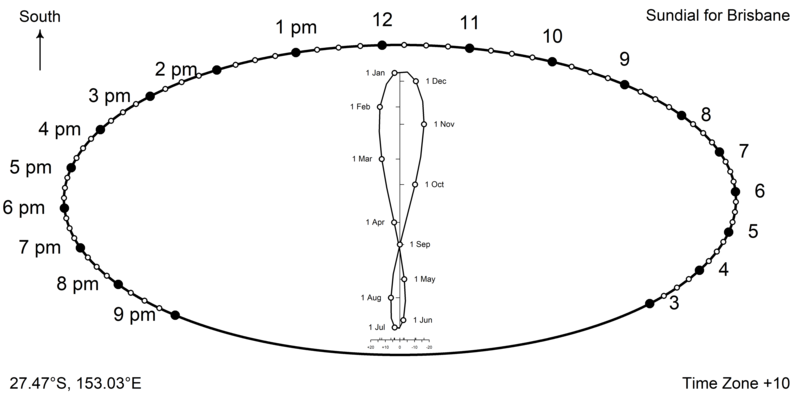 This is shown visually by the close fit of his experimental datapoints to the line PV = 351.9. His arithmetic was not quite so good – column “E” in his original table showed his predicted pressure, calculated laboriously using fractions. Seven of the 25 entries are incorrect. For example, using his approach, the 7th entry should be 1398 / 36 = 38 5/6, but Boyle has 38 7/8. Google Ngrams plot for three of the cloud types (with and without hyphens). 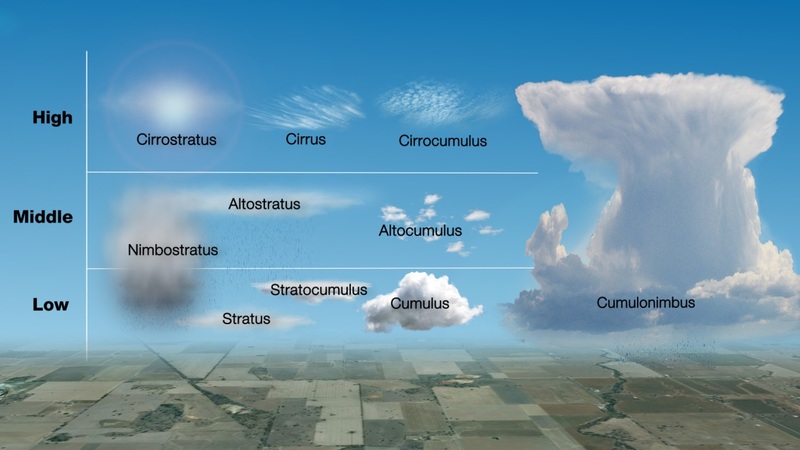 The words “cirrostratus” and “cirrocumulus” first appear in reprintings of Howard’s pioneering essay, while the word “cumulonimbus” is introduced around 1887. There is a renewed spike of interest in cloud types beginning in the early 1940’s. 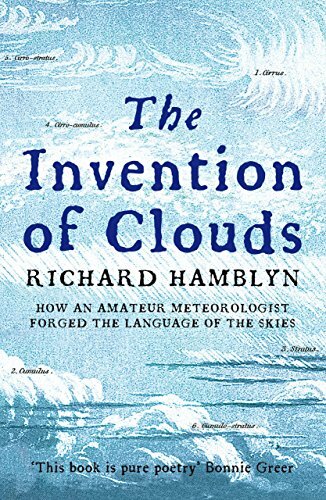 The Invention of Clouds also has some interesting comments on clouds in art and on how to get an education at a time when the two English universities banned non-Anglicans from attending. However, the book does have a few small errors. 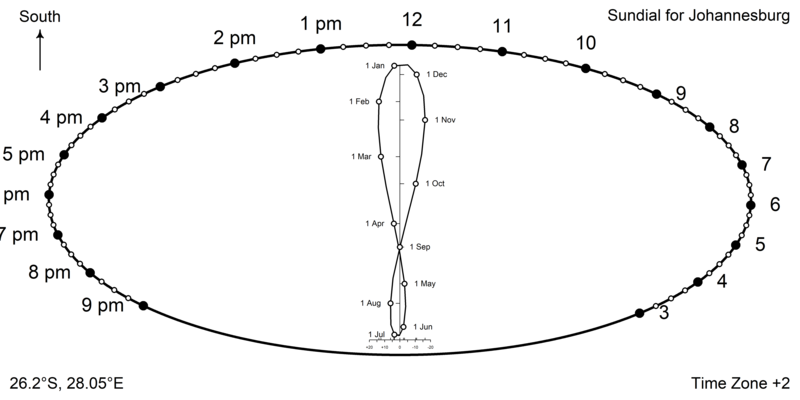 For example, cloud droplets are not “a mere millionth of a millimetre across,” but in the range 0.005 to 0.05 mm. However, that does not stop the book from being both enjoyable and informative (although I did wish for colour images). See also this review from the NY Times. 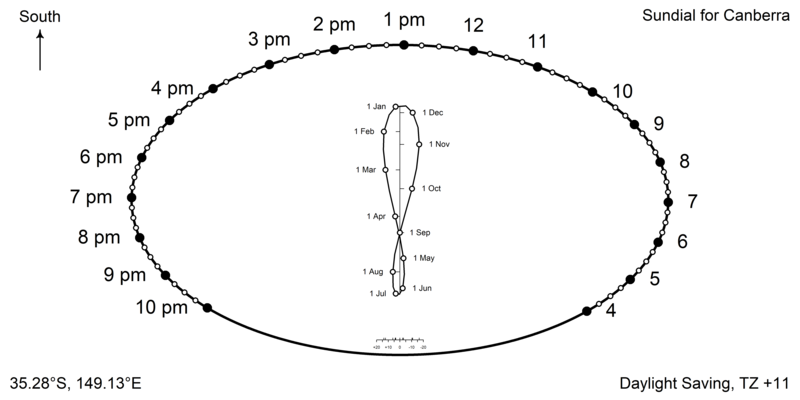 Above is an analemmatic sundial. 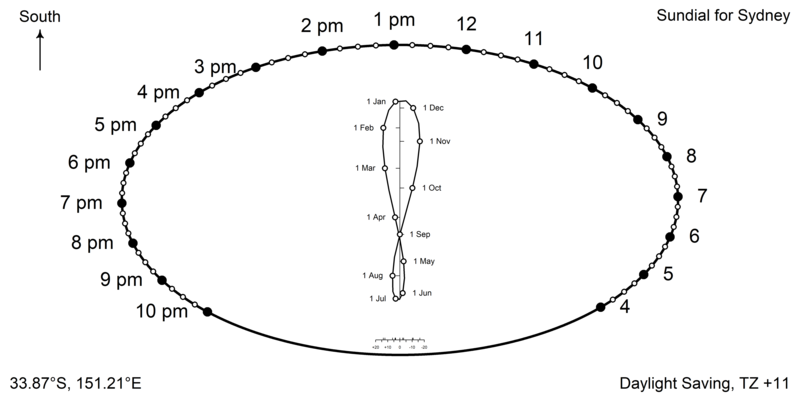 The idea is to orient the sundial facing south, and then place a vertical pointer on the central figure-8 track, in a position corresponding to the date. 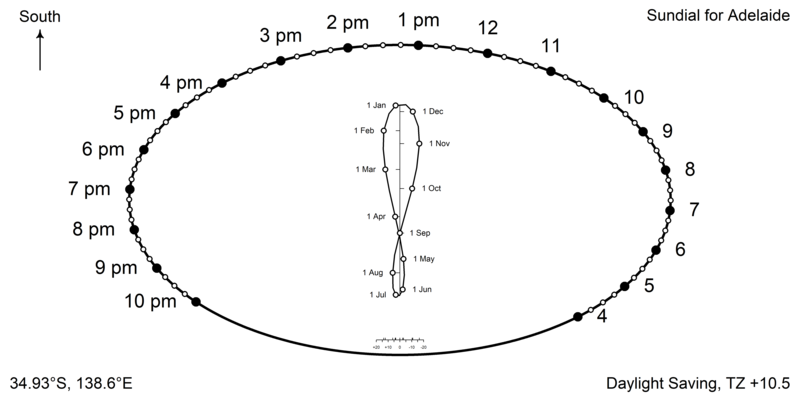 The sundial above shows a simulated shadow for 2:15 PM yesterday. It can be seen that the sundial tells the time reasonably well, thanks to the inbuilt adjustment for variation in solar position. 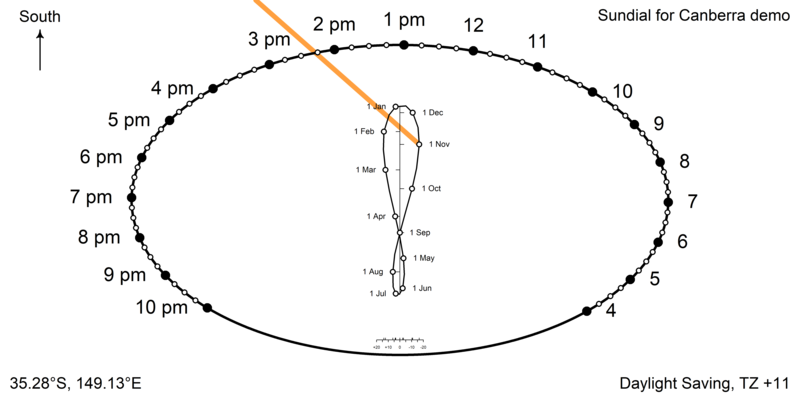 For large-scale analemmatic sundials, like the one below, people can stand on the central figure-8 track and act as a human pointer. 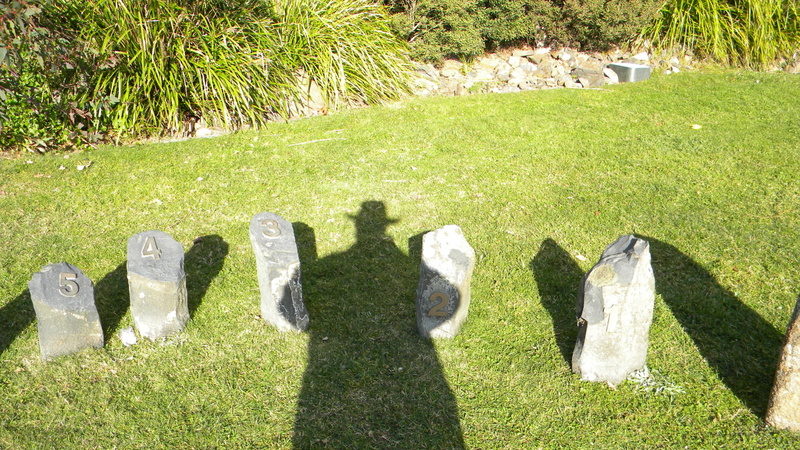 A sundial like this is fun to have in the garden. 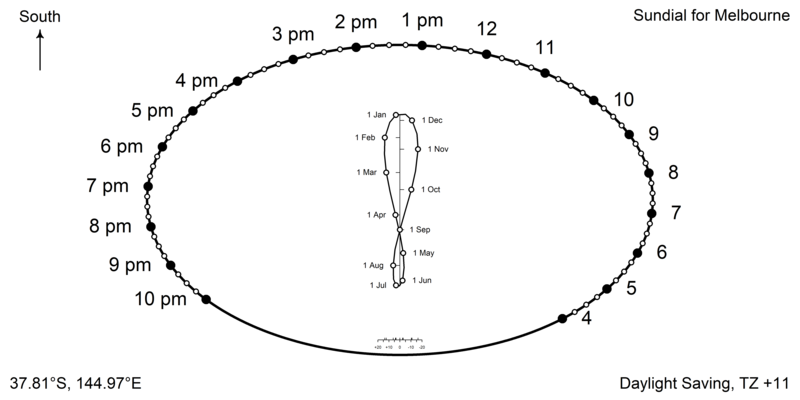 The ShadowsPro software will also generate sundials like these, if anyone is particularly enthusiastic.